Honda Motorcycles and Scooters India (HMSI) is amongst the top 3 two wheeler manufacturers in India and has a close shave with Bajaj every month for the number 2 spot. Majority of its sales come from the automatic scooters it has on offer including the Activa, Aviator and Dio contributing to the cause. The story however changes once we take a look at the sales of the motorcycles from the company. Barring the Dream Neo and Dream Yuga, none of its bikes have been able to make a mark. 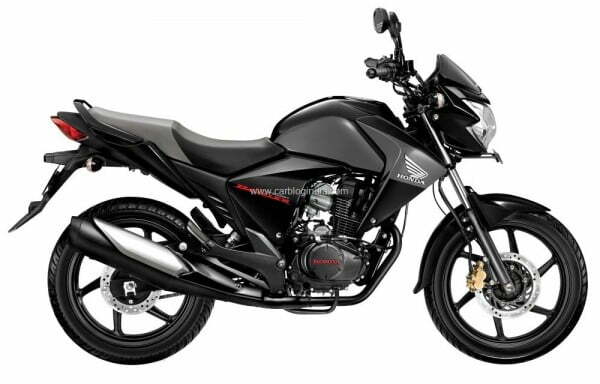 The company has just discontinued its 150cc offering Honda CB Dazzler and has removed the bike from its official website. The CB Unicorn Dazzler has been replaced by the CB Trigger which comes with a similar price tag. Honda didn’t really like the fact that the Unicorn Dazzler failed despite the fact that it was well packaged product. It lacked a kick lever which is a saviour on cold winter mornings.The Dazzler was meant to replace the Unicorn but people didn’t want to let the Unicorn go and Honda could not really take the Unicorn off the showroom floors. The CB Unicorn Dazzler had a 149cc air cooled motor which developed a maximum power of 14BHP @ 6,500 RPM and was mated to a 5 speed gearbox. It returned an excellent fuel economy of around 50-55 kmpl in city riding conditions and was an excellent performer too. However it bombed on the sales charts miserably and Honda had no other option to replace it. The Unicorn however still continues to be on sale. Honda has learnt well from its mistakes and corrected everything in the CB Trigger. It comes shod with a full chain case, fully digital instrument cluster, LED tail lamps and the deeply missed kick lever too. The CB Trigger has the same motor and comes with a similar price tag and looks way better than the Dazzler which looked a bit awkward for the liking. Will the Trigger be able to compete with the likes of the upcoming Gixxer 155, Pulsar 150NS and the Hero Xtreme Sports? We’ll have to wait and see that.